Part 3 of “StormHawk: Out in the Cold”- we return to the survivors of the downed lightning rig StormHawk who decided to remain out on the tundra, away from the loving embrace of HartLife (see Season Three/Episode 2)! 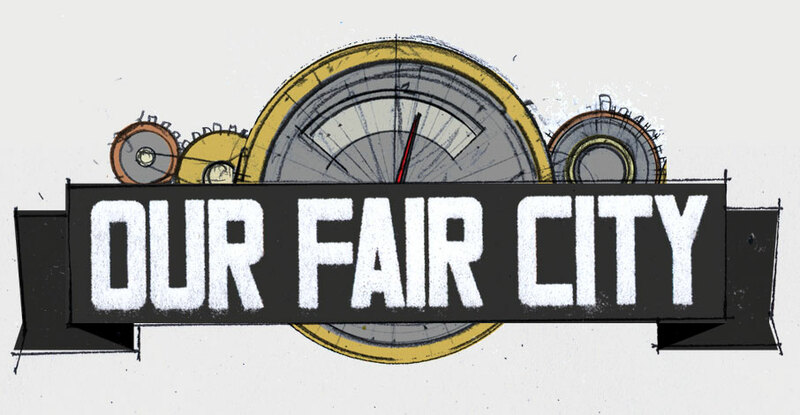 Season Six of Our Fair City will return January 17, 2015. 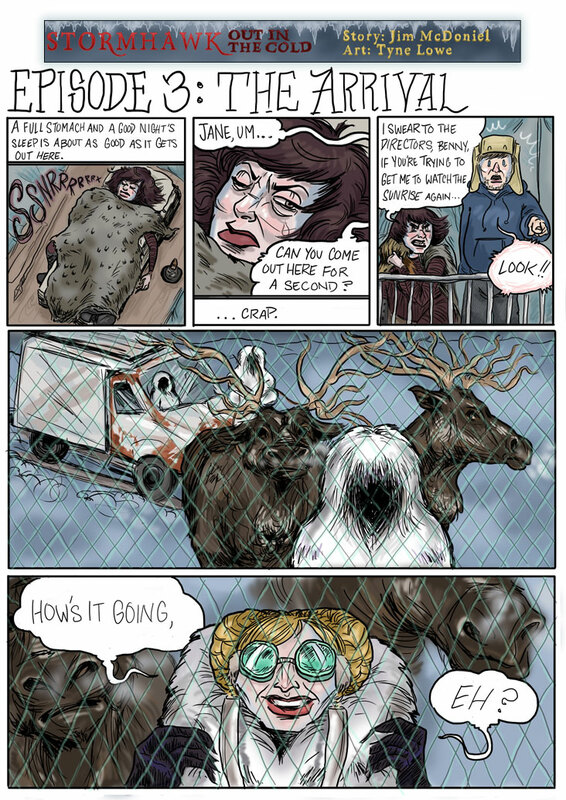 Story by Jim McDoniel. Art by Tyne Lowe.